TOLEDO, OH--(Marketwired - Feb 10, 2016) - Entrepreneur magazine recently published its prestigious "Franchise 500" list of top franchise opportunities and has once again included Marco's Pizza, the Ah!thentic Italian pizza franchise. Entrepreneur's Franchise 500 list is the U.S. media's top franchise ranking system. Nearly 1,000 brands registered for ranking in 2016, and of those, 500 brands made the top tier. Entrepreneur compiles extensive data in determining which brands make the cut; the metrics used to determine the list are those that determine which brands have staying power and proven business models and are poised for nationwide growth. "All companies are judged by the same criteria: objective, quantifiable measures of a franchise operation," Entrepreneur said. "The most important factors include financial strength and stability, growth rate and size of the system. We also consider the number of years a company has been in business and the length of time it's been franchising, startup costs, litigation, percentage of terminations and whether the company provides financing. Financial data is analyzed by an independent CPA." The metrics used to determine Entrepreneur's Franchise 500 list reflect Marco's Pizza to the letter. The Marco's Pizza brand is consistently one of the fastest-growing pizza brands in the country. 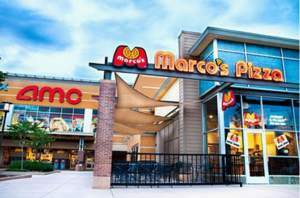 "We're very honored to have been named a Top Franchise Opportunity by Entrepreneur," said Marco's Pizza Chief Development Officer Cameron Cummins. "This is a really exciting time at Marco's. We are on track to become one of the top five largest pizza franchises in America, and customers are opting for our better-quality pizza with real, fresh ingredients." What makes Marco's Pizza a Top Franchise Opportunity? Marco's Pizza prides itself on making the best pizza money can buy. It is handmade in the Italian tradition, using fresh, never-frozen cheeses, making the dough in stores daily and using only premium meats and vegetables. The brand's proven business model and sustainable growth have been heralded by the likes of Forbes, Consumer Report, Nation's Restaurant News, Franchise Times and now Entrepreneur with inclusion of Marco's Pizza on the Franchise 500 list for 2016. Marco's is on pace to have 1,000 restaurants open by the end of 2017. 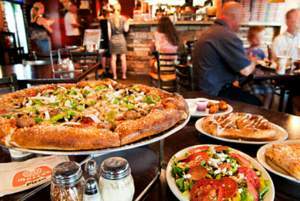 The dynamic pizza franchise rolled out 113 new franchises in 2015 and has recently announced plans to open 150 more locations in 2016. Given these tremendous numbers, it should not come as a surprise that Marco's Pizza has the fastest unit growth, according to Nation's Restaurant News, which named the beloved pizza franchise as part of its Second 100 List. That list analyzes businesses that are smaller but are focusing on growing around the nation. Unlike competing chains -- such as Pizza Hut, Domino's and Little Caesars -- who have saturated their markets, Marco's Pizza has plenty of prime territories available for new franchises. "We aren't tapped out like our competitors," Cummins said. "There is so much room left for Marco's to grow. We have many regions available for multi-unit development." When pizza lovers order from Marco's Pizza, they know they will be getting the best. The top-rated pizza franchise makes its pizza dough in each store from spring wheat flour, specially filtered water and high-quality yeast. Marco's Pizza then adds its tasty, homemade sauce that was developed by the brand's founder and his father, made from specially grown hybrid tomatoes and proprietary spices. The brand's pizzas are then topped with a blend of Wisconsin cheeses, chopped fresh vegetables and premium meats. "Almost half of our franchisees were consumers first; 100% of the people in our organization are here because they love our product," Cummins said. "If you serve a great-tasting pizza, the business will follow. In our industry, you are only as good as your last pizza, and our customers keep buying from us because our pizzas taste better." Marco's Pizza wants welcoming, friendly individuals who remember customers' names and are passionate about the product to join the Marco's Pizza franchisee family. The investment required to start a Marco's Pizza franchise is typically about $350,000. The pizza franchise is looking for people who have a net worth of $150,000 and a minimum liquidity of $100,000. Marco's Pizza franchise made Entrepreneur's Franchise 500 list again for 2016. Marco's Pizza franchise offers customers Ah!thentic pizza of the highest quality, which boosts guest loyalty -- and franchisees' bottom lines.